Joy Industries Limited, one of Ghana’s finest herbal alcoholic production companies has yet again received an Award for demonstrating brilliance in it field. For their brilliance, the Koforidua-based company emerged as the Pan Africa Top Brands Eminence Award winners, as well as its CEO, Dr Manfred Takyi won the Pan African Executive Summit 2018, Best CEO in herbal preparations. 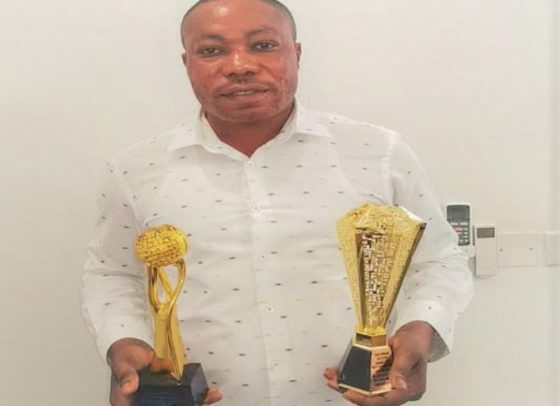 And responding to what accounted for the prestigious Award, he said “Most definitely, hard work from our workers, and our quest to ensure that our products maintain its natural properties accounted for this award. “We deserve this award due to our track record of; the only herbal alcoholic production company in Ghana which uses pure herbs. This manifests in all our alcoholic beverages-when you shake, it foams, it is a mark of a product with natural properties. It is a Pan African Republic Honorary Awards which has been in existence from 1992-2018.